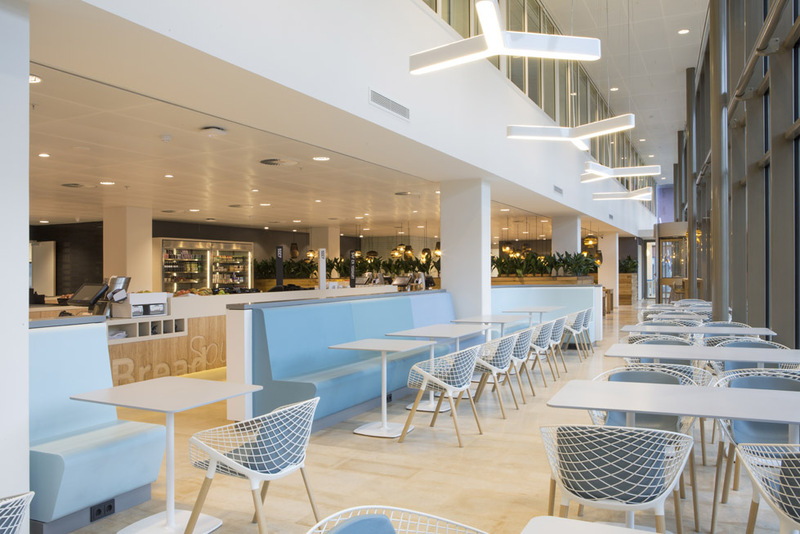 27.000m2 sustainable reuse and regeneration for ‘the new way of working’ in AmsterdamThe ‘nieuwAmsterdam’ building was built 25 years ago and recently completely transformed into a modern mixed-use building with hotel, catering industry and twenty-seven thousand square meters of office space for power company NUON. 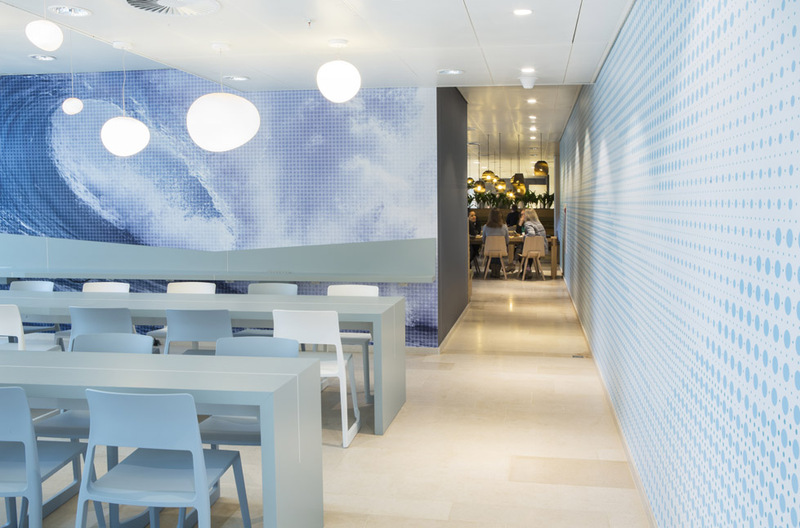 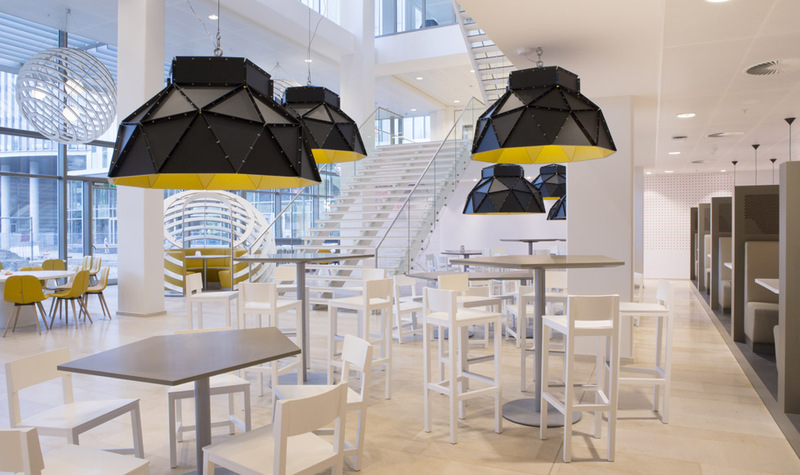 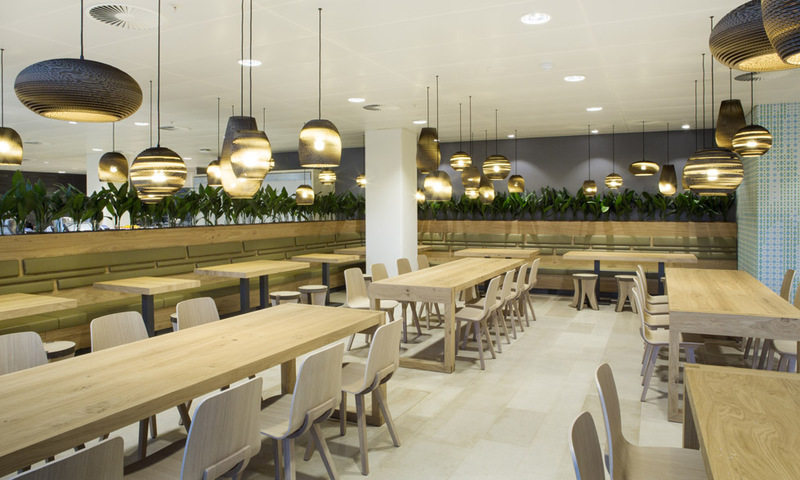 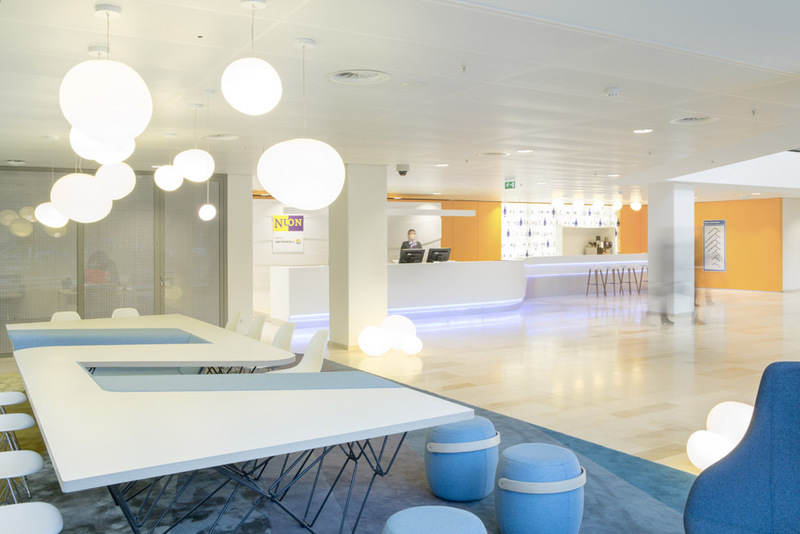 In September of 2012 HEYLIGERS d+p was awarded the contract to provide the interior design for NUON and only 15 months later the new office was taken into use. 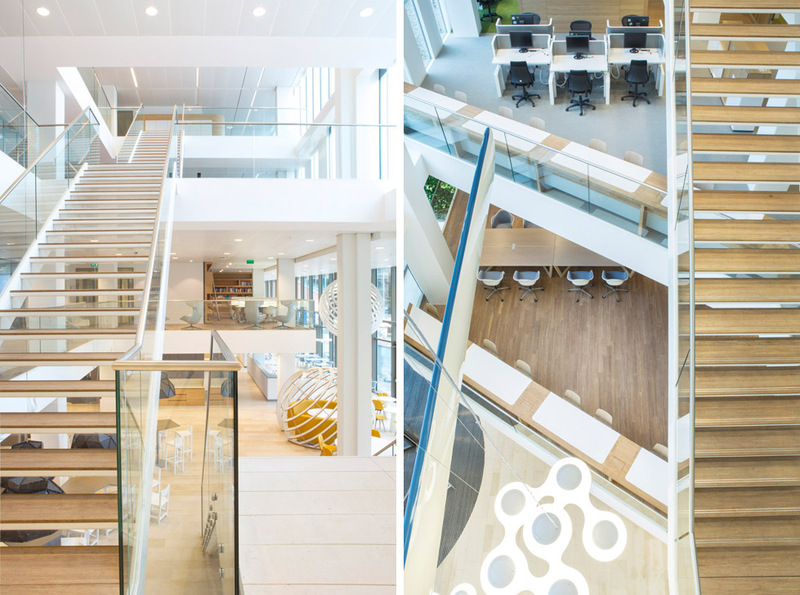 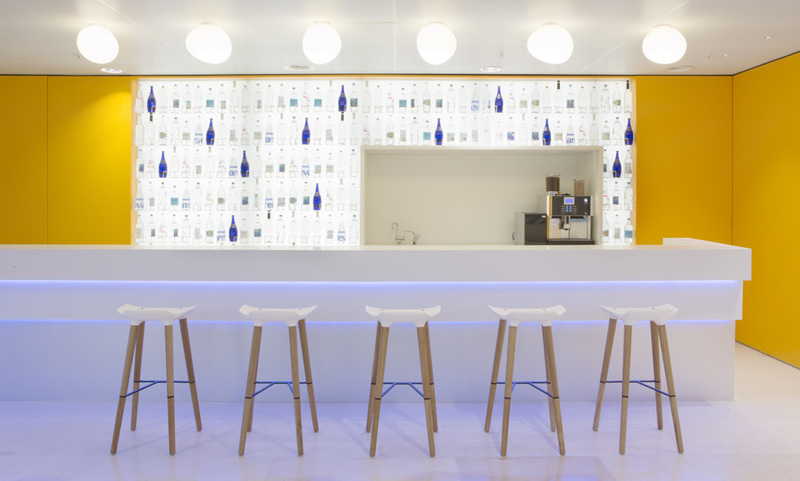 With its new head office NUON embraced ‘the new way of working’, workshifting: a fully open and flexible working environment. 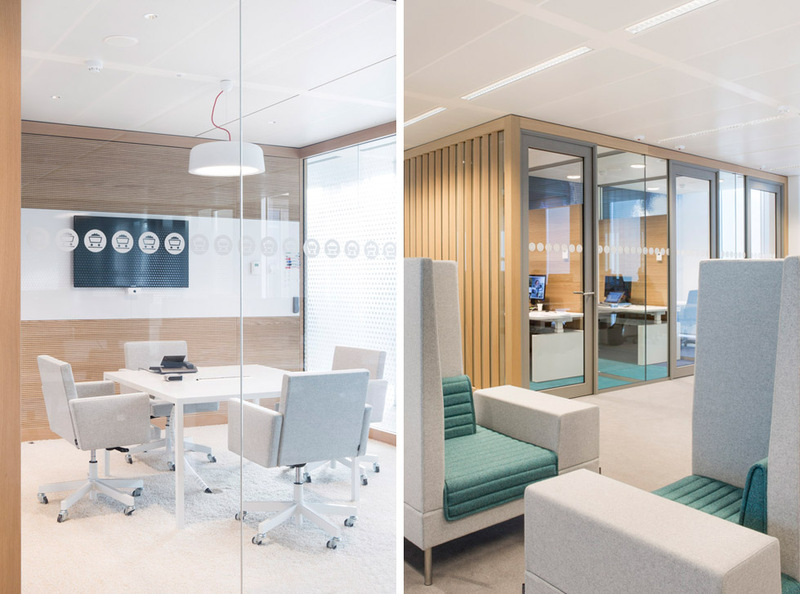 The interior design consists of open work floors that are focused on diverse and flexible working by being interspersed with conference rooms, telephone booths, concentration workplaces, pantry’s, ‘executive suites’ and project rooms. 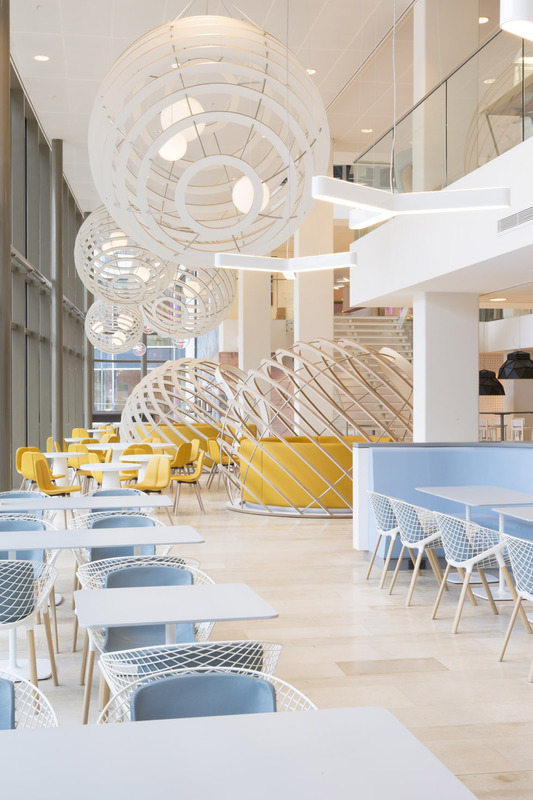 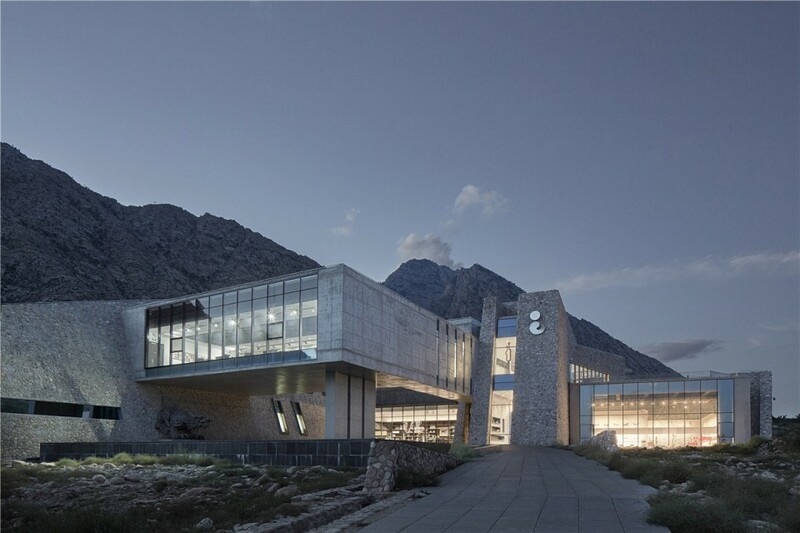 The building offers diverse facilities for its users, including a reception lobby with a water bar, a restaurant with 650 seats, a library, an espresso bar, a service centre, a conference centre, and a sky lounge. 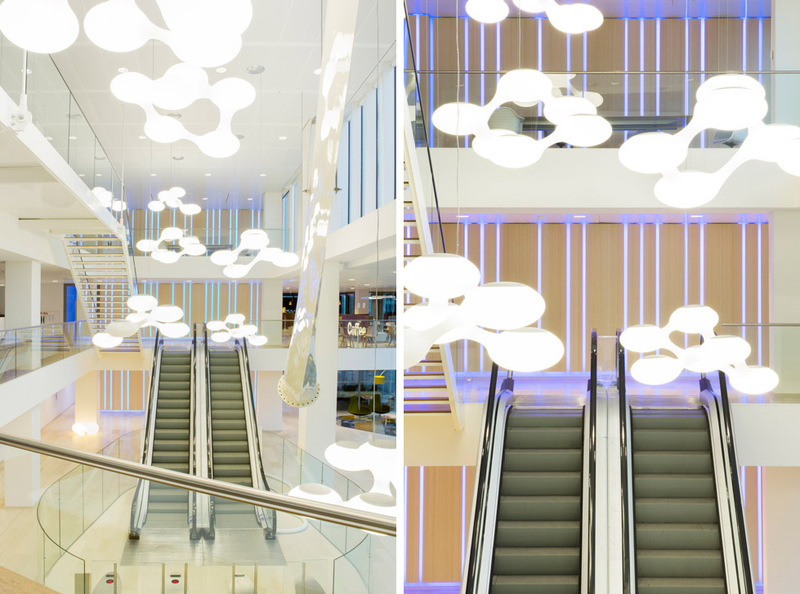 The 27.500m2 is spread over 6 floors. 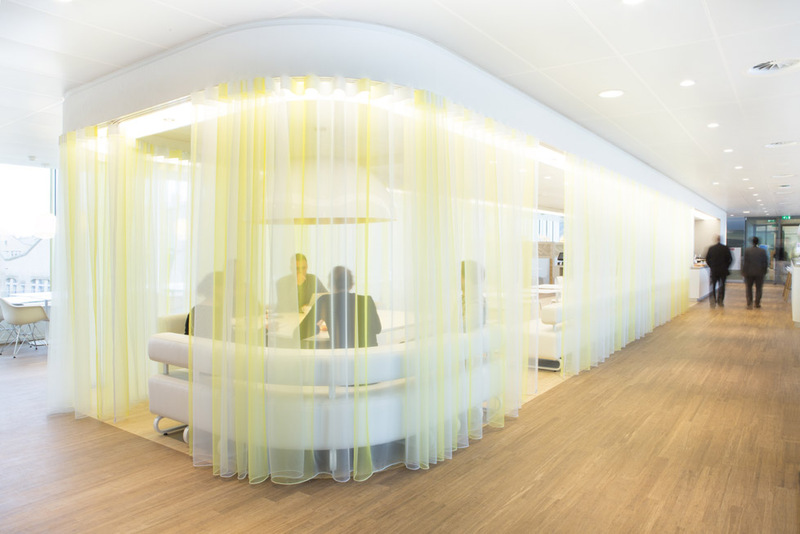 To create diversity and orientation in the long building the NUON Energy Sources were taken as a starting point in the interior design. 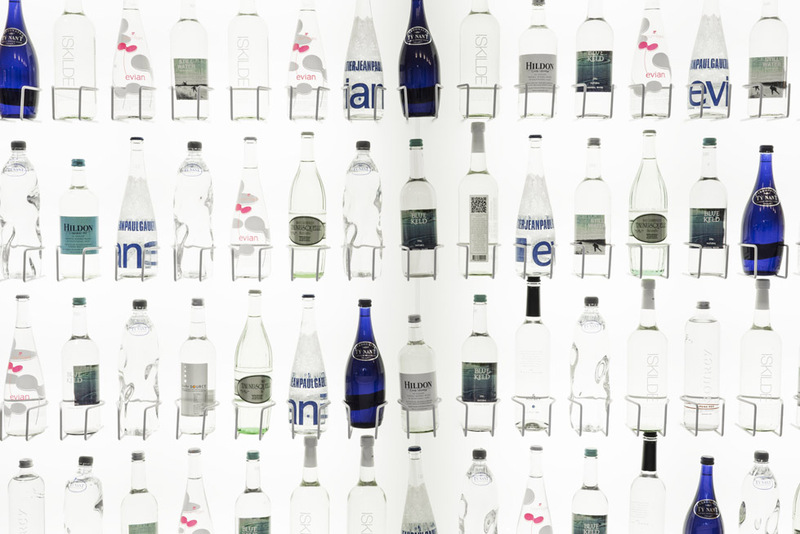 These six sources were each translated into their own section design through the assignment of colour, material, photo prints and glass foils. 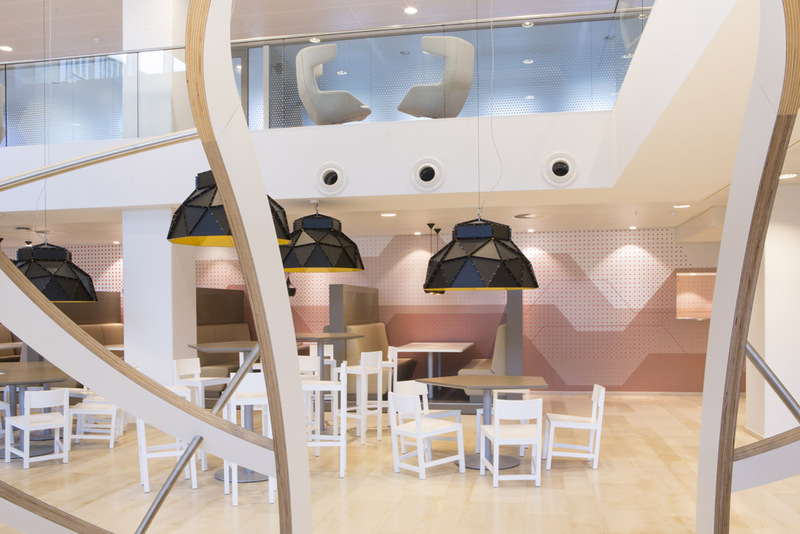 This way, each of the building’s ‘neighbourhoods’ has their own specific identity, and a clear location within ‘nieuwAmsterdam’. 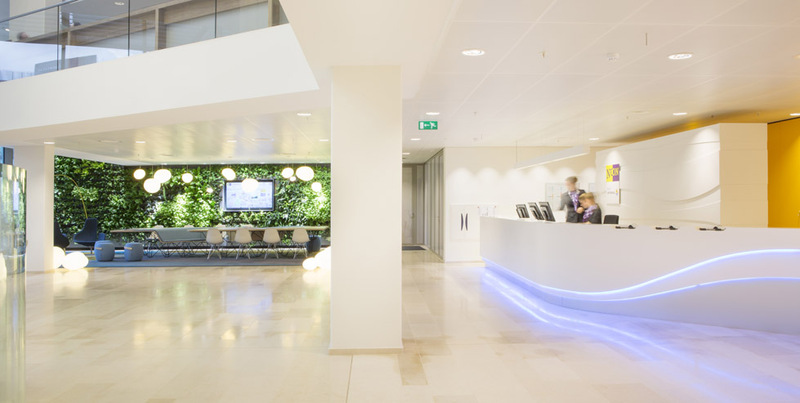 With its renovation, the building has been certified ‘BREEAM Very Good’. 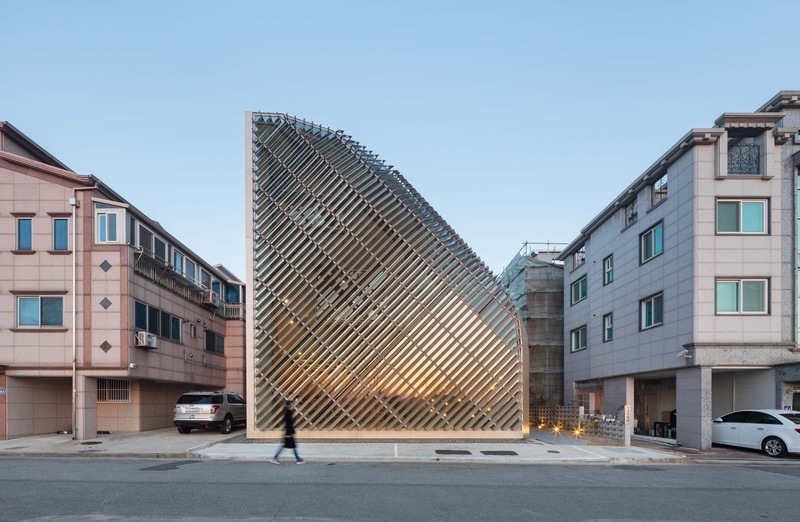 To achieve this sustainability class, points were scored both on the exterior and the interior design. 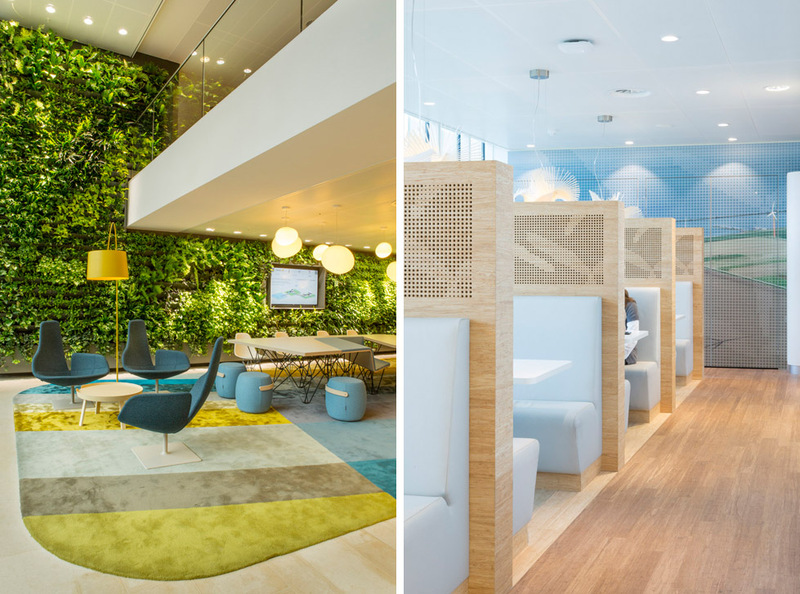 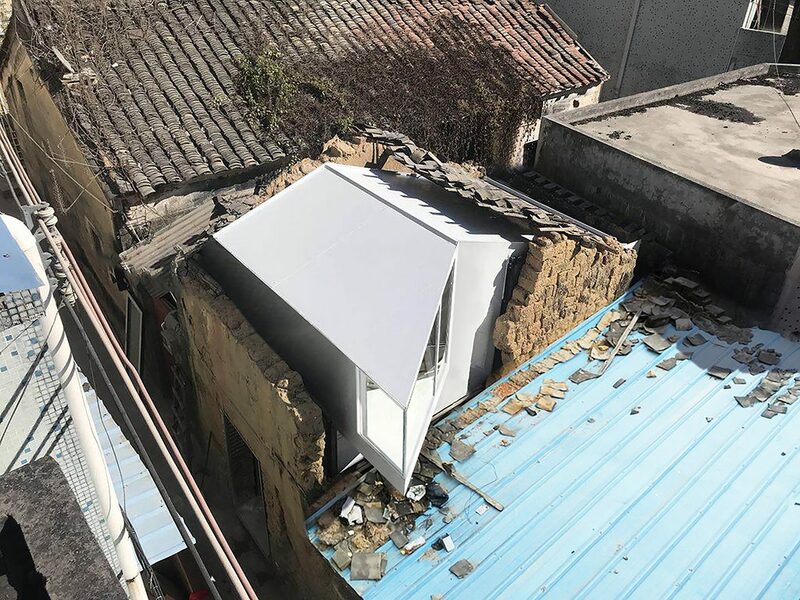 The latter is remarkable because BREEAM has not yet been adapted to new workplace concepts, which means that the interior design has to meet high demands to be able to achieve this score.